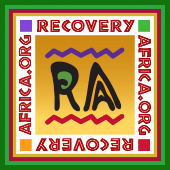 In September 2014, RA supported the formation of the RGC in an effort to create a Recovery Movement in Ghana. The RGC is made up of individuals and organizations which collaborate to carry the message of recovery. The RGC organized the Second Annual Recovery Walk on September 24, 2016. Visitors came from the Recovery Communities of North Carolina.